Summer in India has already begun to shatter the streets. The temperatures have risen to the peaks just at the end of winter. Thanks to the global warming! 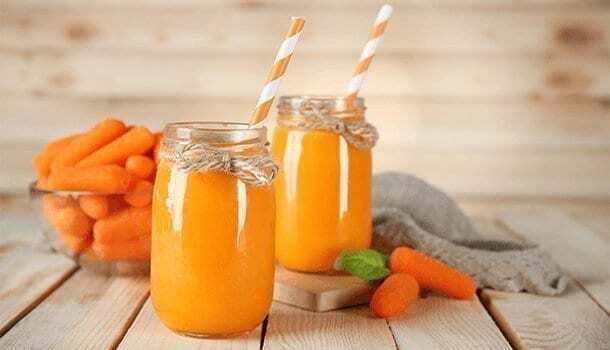 For now, the best way to keep ourselves hydrated and be protected from the thirst and sweating is to get body continuously engaged with special juices for summer made out of fruits and veggies. These summer juice drinks could be the misnomers as they can serve you anytime throughout the year. Everybody is equally benefited with these healthy fruit juices and vegetable juice drinks. Particularly in summer, the juices and drinks provide enormous chilling effect along with nutritious benefits. There are many detox juice recipes in the following list. Detox juice cleanse the body by flushing the free radicals, toxins out of the body. Let us appreciate these immensely healthy juices for summer. Detox is an important aspect involved in summer diet as there is more chance for free radicals to affect the body in summer. 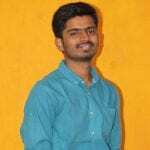 Also, know some common benefits of these summer juice drinks at the last. Any of the juices for summer is healthy for no doubt. As the whole grains make a big difference from normal grains, whole fruit is better than a fruit shared. But, this problem is cleared when the juices come into the picture. Every smoothie made out of a couple fruits/veggies becomes the best fruit juice or the best out of any vegetable juice drinks. So, we can sufficiently procure the nutrients required for the body with juices, with any amount. Lemon is the most usual ingredient applied in health care for both physical body treatments and foods. Lemon juice alone is a detox juice. We can create many detox juice recipes with lemon as juices for summer. 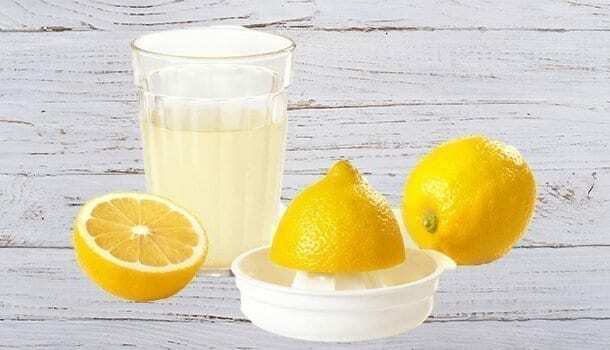 Lemon prevents many cancers at the initial stage. Even, it can stop the growth of the cells causing cancers like melanoma. 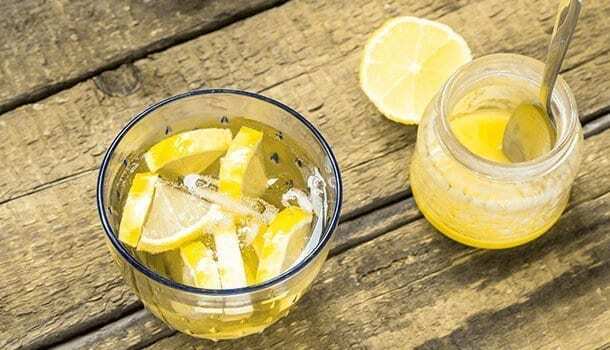 The major reason behind lemon’s popularity in health care is its highly abundant Vitamin C. It also solves digestive problems with the vitamin C.
When lemon is mixed with ginger, skin and hair have got tremendous health benefits. Watermelon fruit is the most preferred one of the fruit juices for summer time. Raw fruit is also taken widely for its hydration and detoxification. The water content of the fruit makes it highly consumed summer juice. Watermelon heals many skin diseases and kidney problems. You are assured not to get the calcium stones in the kidney upon regular consumption of watermelon. The specialty which makes it a popular summer fruit juice is its water content. Water in the fruit is only advantageous for the benefits of hydration and detoxification. There is no other fruit like melon fruits to provide this benefit. The sweetening of the fruit is so natural that you need not add any sweeteners to it. Even if you are a sweet lover, better do not add sugars to it so that you will be safe from future problems with excess consumption of sugars like cholesterol, diabetes, etc. 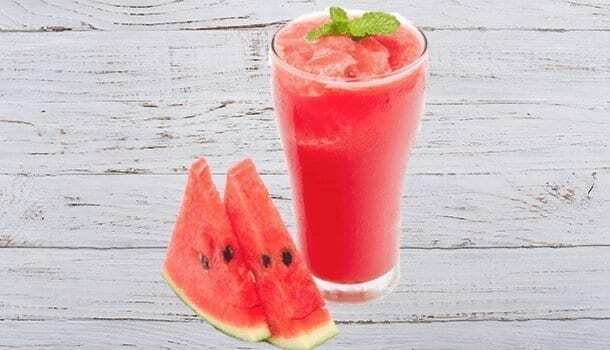 Out of the best cleansing juices, watermelon is known for its excellent taste and detoxification both. Add an apple, lemon, orange, a half of beetroot, broccoli pieces, a couple of carrots into one blend. Add melon pieces or juice into the blend before mixing. Add fennel too, for the taste. Blend into a smooth juice, add ice on top. Cucumber is a wonderful anti-calorie, fiber-rich, detoxifying ingredient. There are many other adjectives to this tremendously useful food. The detox juice cleanse the toxins, microorganisms in the body to a maximum level if we consume it every day. Simple cucumber water has countless benefits for health. Blend kale, kiwi, bell peppers to make the best juice for summer with their extremely useful chilling properties and cleansing abilities. The vitamins and minerals in cucumber need no introduction as they are enormous and renowned to most of us. Take kale leaves, bell pepper pieces with removed seeds, basil leaves, a half of lemon, celery stalks into a blender, blend it into juice with cucumber. Add water if you want. 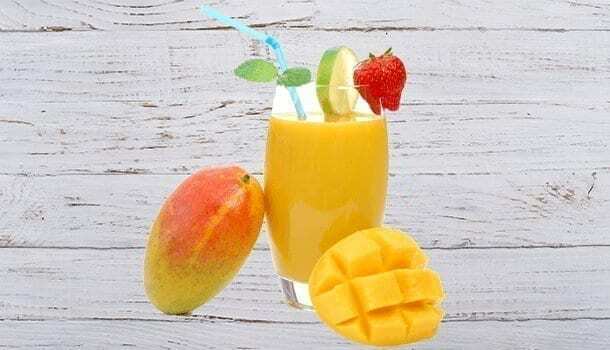 Mango has a special note as a ‘summer fruit.’ It is also a special one of the juices for summer because both the mango and its juice can benefit us with distinct advantages. A raw mango can do a lot of favors to the body, and the mango juice shows a separately stronger list of benefits. We can consume either of them, but juice gives extra hydrating, detoxifying advantages with some added ingredients. Mango improves the digestion, eye vision, gives a better skin complexion, controls the cholesterol. Also, it fights cancers. Take an apple, lemon, carrot, and a zucchini if your taste supports. Add fennel seeds before blending. Blend the mix into a smoothie, add ice at last. This is the sweetest and the healthy summer fruit juice made only with natural sweetening objects. Do not prefer artificially sweetened, preserved juices; they do not benefit you for your health, rather degrade your body’s activities and condition. Papaya in the juices for summer has special benefits of saving the heart, regulating blood circulation, cleansing the body. These are the most demanded problems to be cured in summer by most people. Papaya fights the antibodies efficiently. It also resolves indigestion and other stomach ailments. The digestive enzymes are abundant in papaya, which makes it so efficient in curing such problems. 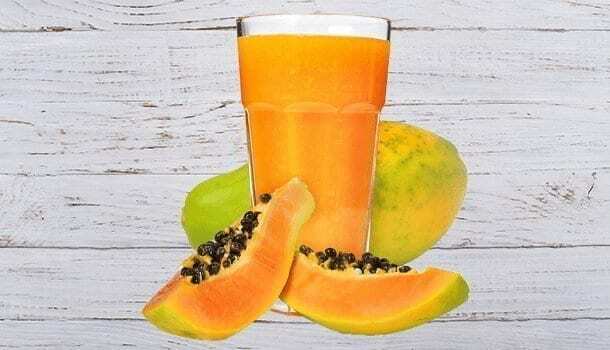 Many healthy fruit juices are made with papaya as a major composition. Take half a papaya, apple half that of papaya’s quantity, blend them. Add some water and then mix it again to a smooth drink. Add honey, cardamom to the drink and blend it shortly for the last time. Add some ice cubes while serving. Orange juice is the most consumed fruit juices for summer for health concern, and they deserve the place because of their enormous vitamins, minerals, fibers. Also, orange is good for the body to give anti-inflammatory effect, control blood pressure and cholesterol, and strengthen the immune system. 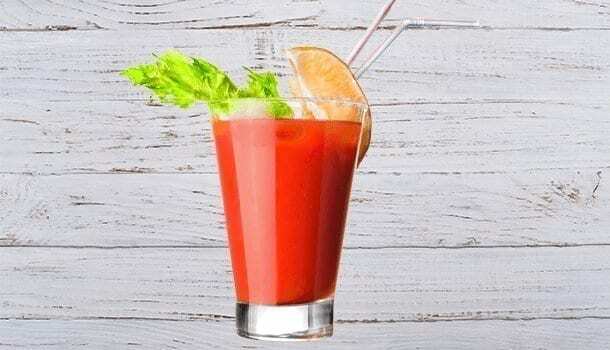 In a beverage with orange fruit, carrots, beetroots, grapefruits make a tasty blend. Take one yellow/golden beetroot, a grapefruit, a couple of carrots, and a couple of oranges. Blend them straight away. Add ice cubes according to the chilling you want. Orange makes best cleansing juices when blended into any mix of fruits. Sugarcane is known for its instant energizing property. 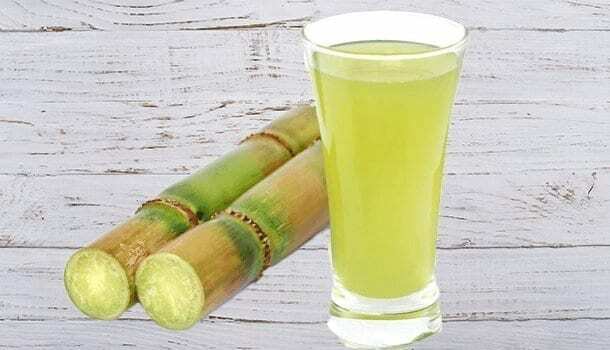 There are no other better healthy juices for summer on streets than the sugarcane juice. The antioxidants, calcium, magnesium, potassium, glucose are very high in it. It is also the best hydrating agent which is the most expected feature from a summer fruit juice. Sweet Lemon is known for its minerals, and vitamin C. Lemon has got a fruity replacement with sweet lemon. Sweet lemon provides all the benefits of lemon, viz. hydration, pimple removal, constipation, suntan, hyperpigmentation, and so on. Take the fresh sweet lemons or a juice made out of them with water, honey added. It’s the best juice for summer you want to choose if you go keen into its advantages. Though the coconut water doesn’t need many ingredients to make out a summer juice, the raw coconut water is highly capable of standing on par with the most popular healthy fruit juices and drinks. Nutrients in Coconut water spread all over the body cells, cause a healthy hydration, which makes it one of the best healthy juices for summer. Skin glow is also achieved with proper intake of it. 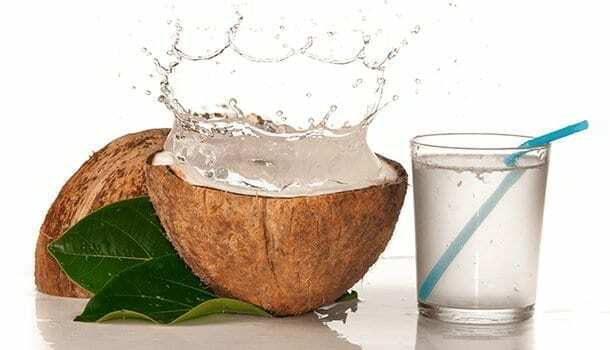 Diahrrea, kidney stones, digestive problems are cured in extremely short periods with the coconut water consumption. Coconut water consumption profoundly strengthens the immune system. 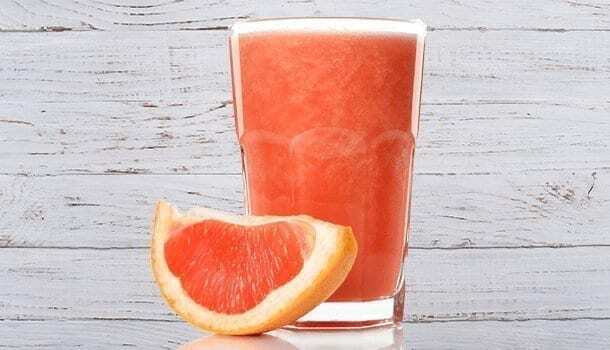 Grapefruit juice is a detox juice with full of antioxidants. A healthy organic beverage with the essential cooling effect is something more than the bliss in summer. It aids in losing weight to a greater extent with its filtering properties. 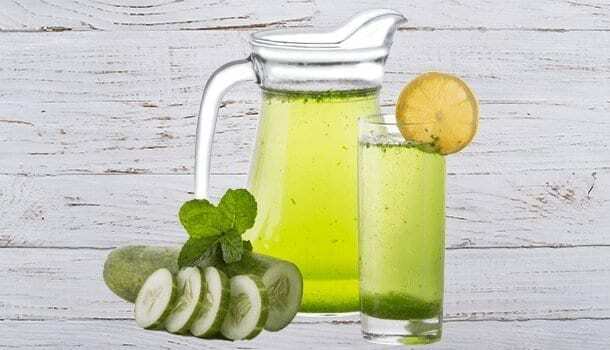 Other than exercising, losing fat for weight loss, flushing the toxins out of the body is the safest and most important process, which is effectively done by the detox juices. 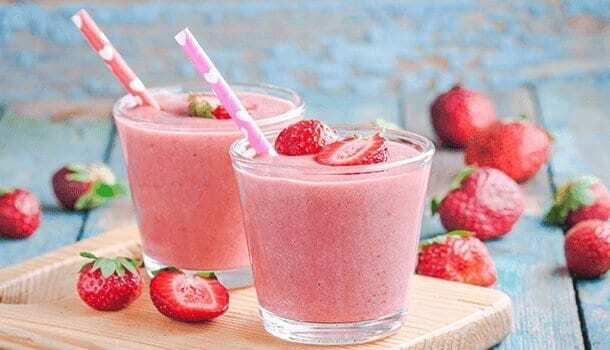 Make a smoothie with grapefruit and berry fruits mixed. Add banana, kiwi fruits for better detoxification effect. Grapes cover hydration and the relief provided by refreshing drinks to a larger extent. 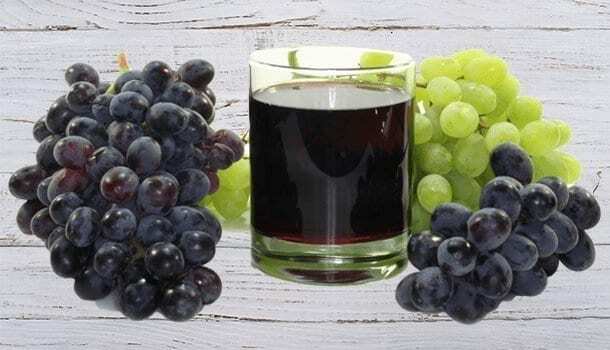 One doesn’t need the soft drinks at any cost except at life threatening times, with the best fruit juice like grapes, we can forget them for a lifetime. Black grape is more suited as a summer juice with their added anti-inflammatory properties. They are also better in providing a better skin glow and elasticity. Grapes are also equally sweeter as watermelons, so we need not add sugars to the juice. Add honey in the place of sugar to skip the danger. Add a tbsp of lemon juice to a cup of seedless black grapes. Add any natural sweetener to the mixture. Blend them by adding water to the mix. Add ice cubes if you need a chilling effect. Extract the juice by straining it from the pulp. Serve the chilled juice into glasses. Strawberry can make a delicious punch associated with any other fruits. Many detox juice recipes are formed using strawberry as an additional tastemaker. Not only the taste, but Strawberry also has minerals, fibers, and abundant vitamins. It is also an antioxidant-rich food. Get the strawberries in a bowl, add yogurt, orange juice, sweetening agent to it and blend the mix. Adjust the sweetness as you wish. Strawberry can also be blended in soda for a different taste. It makes a detox juice along with coconut milk. Add coconut milk to the strawberries in 1:4 ratio. Add carbonated water, salt, and sugar to it. Blend the mix into a smoothie. Add coconut milk, and soda to get the ratios right as you want. Serve the juice with ice cubes poured in and a strawberry on the rim of serving glass. Banana is known for its antioxidant properties. It also aids in better digestion. For this reason, banana is suggested very much in desserts. Frozen bananas make fantastic shakes with ice creams. 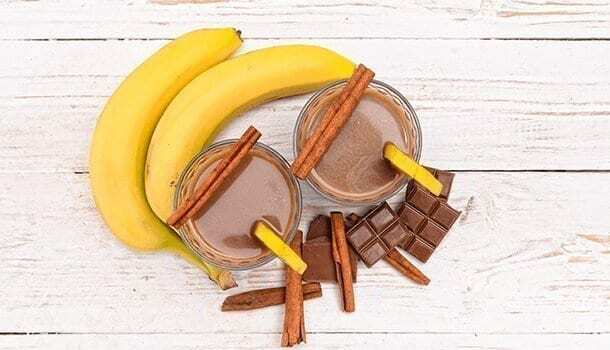 Take 2 tbsp of vegan cocoa, ½ tsp of cinnamon, a cup of soy milk, and 2 cups of ice cream into a blender. Add a frozen banana to it before blending. Add ice cubes if you want. Blend it for a smoothie, add ice to the beverage before serving. Tomato summer juice has a lot of benefits, which we are going to need in peak dry summer times. The chilling effect which it causes will be immense throughout your summer. It is always better to add in any of your dishes throughout the year. But concerning for summer juice drinks, blend tomato into a punch to reap its benefits of detoxification, hydration and chilling. There are weight loss advantages, skin tone betterments, antioxidant benefits, and much more with the tomato vegetable juice drinks. Take 4 ripe tomatoes, add a small piece of ginger root for effective detox, cardamom powder, a tsp of lemon juice, sugar and salt as you need. Blend the mixture into a smoothie. Add water to the smoothie if you want. Add ice cubes while serving. Carrot juice also has a benefit for summer times. The best summer juice drinks are made out of oranges in a wide range; same is the case with carrot juice. Add orange pieces pulp, sliced carrot pieces, blend them in a mixer to a smoothie. Strain the liquid from the pulp, then add lemon juice to it. Add some water according to your requirement of thickness. Add ice if you want before serving. Add a piece of ginger root for the antioxidant effect. The orange added in the smoothie makes it a detox fruit juice, i.e. useful in the other aspects along with the minerals, and fibers. Cold pressing is an exclusive and latest method to make healthy fruit juices which can also be preserved for up to a month’s time. Cold pressed juice does not involve any artificial ingredients for longer preservation. Purely the vegetables and fruits are used to make them but are a bit expensive than the homemade drinks and other summer juice drinks available in the market. The process of cold pressing doesn’t involve any synthesis, but it is a machinery process. The metallic discs rotate fast to shred the fruits/vegetables. Then a hydraulic press pressurized the shredded materials to extract the juice out. Though the fiber in fruits is left out, it will be used for recycling or composting. Besides the natural process of making, the juices also go through the cleansing process which makes it the best cleansing juices to last for several weeks. The preservation of cold pressed juice helps in killing the radicals and harmful microorganisms in them to maximum. Any of the juices for summer can be preferred which are made through the cold pressing process as it is all eco-friendly and biologically constructive. Hydration to the fullest: The need of water needs no introduction. With the summer juices, the water content of your body reaches to the maximum level that you need. 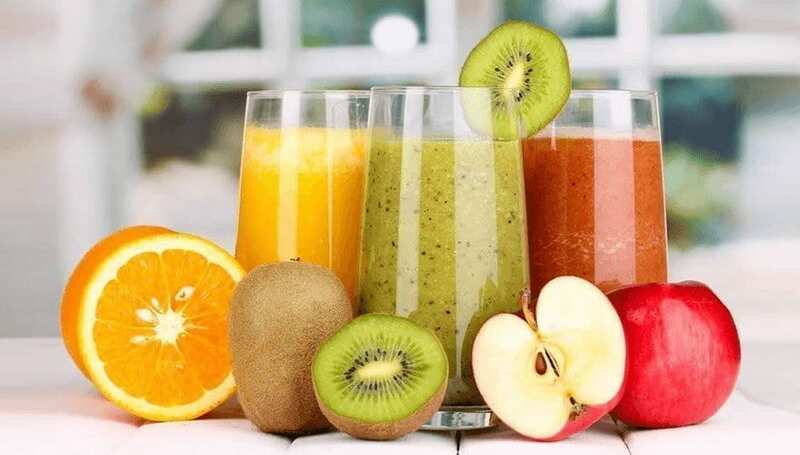 The meal plan is covered to a half of it: Meal plan of your day is covered by the beverages to a half, this is due to the enormous non-toxic and organic ingredients included in the juices. Nutrients are flowing into your body: The nutrients in the juices are way better than any other recipes that work as remedies for the health problems. It is just enough to have the fruit juices each day to suffice the nutritional requirement of the body. Lightning and refreshing: Juices are ever-ready refreshing food ingredients. The detoxifying properties aid to this effect. The effect of the healing juices will be very lightening. Our job is all done! Take the precautionary drinks and juices for summer from now on.